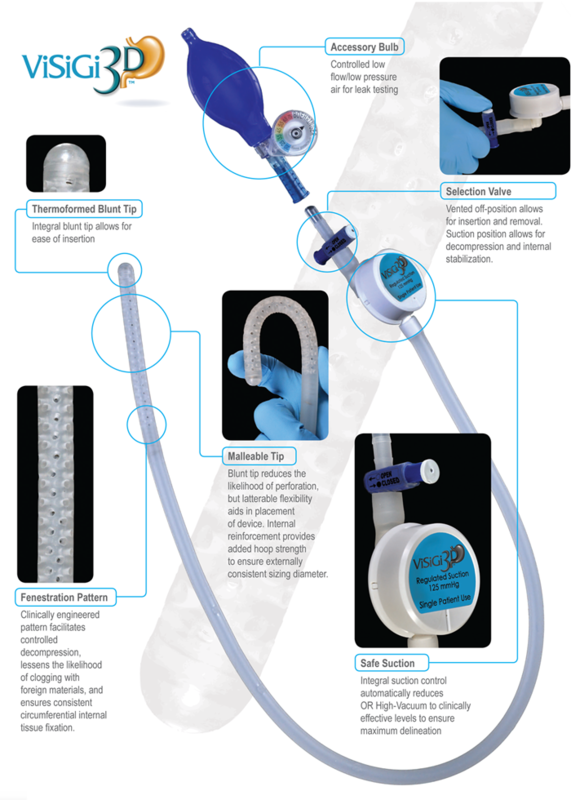 Decompress: Most anesthesiologists use an OG tube to decompress the stomach prior to surgery. Depending on the anatomy of the patient, these can be challenging to land inside of the stomach because the OG tube has a propensity to loop back on itself. 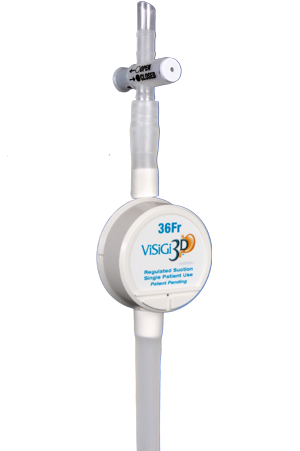 The large diameter, and blunt tip of the ViSiGi 3D® allow for confident placement and rapid decompression. Since there is no OG tube present for the procedure, there is no risk of stapling the OG tube in place. Delineate: Do You Know Where Your Bougie Is? ViSiGi 3D® uses a proprietary fenestration pattern coupled with precisely controlled suction to allow for the outline of the sizing device to be readily visualized prior to any stapling. This vastly improves the visualization of the calibration device used during sleeve gastrectomy procedures. Dissect: Ready visualization of the ViSiGi 3D® takes the guesswork out of stapling, since visual cues from the delineation of ViSiGi 3D® can help the surgeon choose their staple line for dissection. 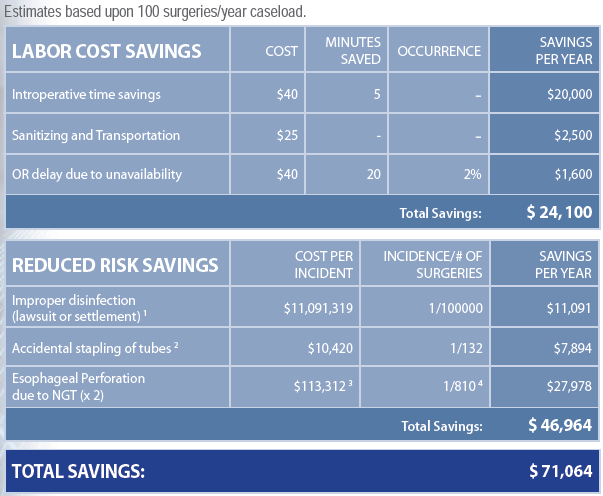 How Much Could ViSiGi 3D® Save You?